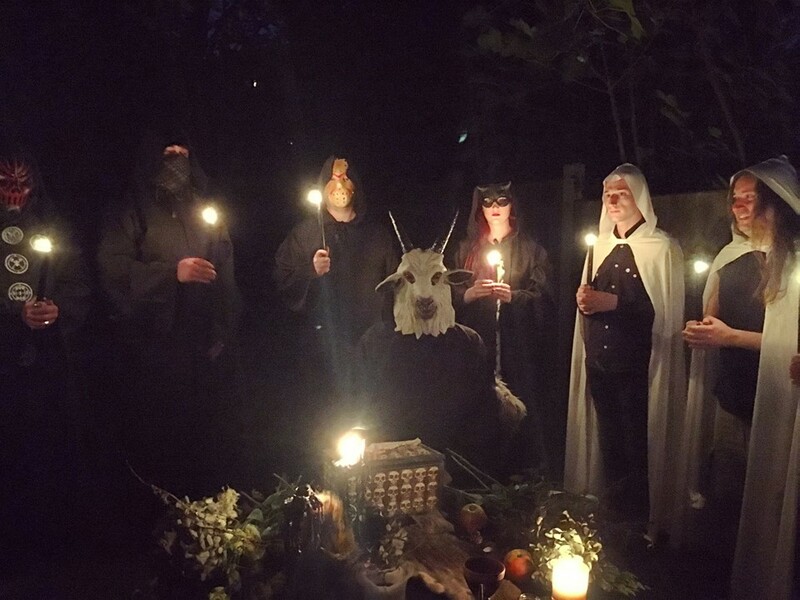 Global Order of Satan is an independent ministry based in the UK with chapters throughout Europe, Australasia, and the Middle East, helping to grow Satanic idealism around the world, in their respective international territories. As atheists we believe in neither gods nor devils. Our ideology is instead rooted in courage, compassion, science, the self, and in rituals of introspection. These ideals are enshrined in our Founding Pillars. Satanism helps define how we live our lives & interact with other people. The founding pillars of a Satanic organisation guide and empower you to live a Satanic lifestyle. No single founding pillar should be raised higher than any other. Our actions should be guided by them collectively. Self-fulfilment and personal understanding allow us to support ourselves and therefore others. Respect the inviolable body, autonomous will, and sovereign right of every individual to guide their own life and being; remembering that enjoyment of these rights is predicated on respect for the same in others. Science, evidence, reason, and critical thinking should guide our beliefs about our universe. Truly critical thinking can only be achieved by challenging your own preconceptions and opinions, providing a more balanced outlook to help us make better informed decisions. Act with empathy, compassion, and wisdom towards yourself and others. Justice always takes precedence over laws, institutions, and religious texts, as long as the pursuit of it does not countermand the pillars. All people make mistakes. Allow them to correct those mistakes, as we seek acceptance in others over our own. 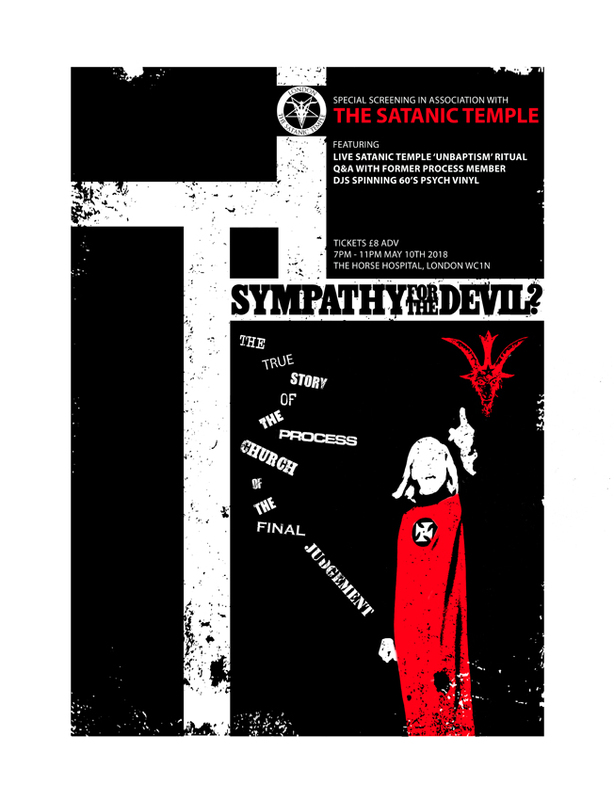 Following the tragic death of Iuliana Tudos in Finsbury Park, London last Christmas Eve, Global Order of Satan have produced, in conjunction with The Devonshire Arms a document designed to help raise awareness into the dangers of travelling alone by night, and methods to help people travel safely. The document includes advice on preparing for a journey, things to look for when using different modes of transport, and how to pick a decent personal alarm to carry in case of attack. 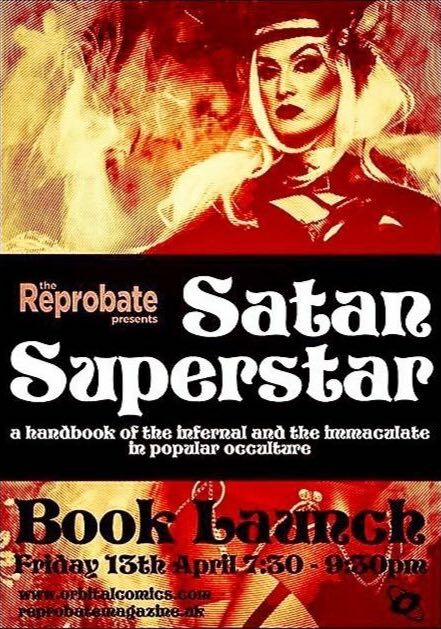 The document is available as a PDF file, available to everyone, and Global Order of Satan encourage people to download it and share it with their friends. 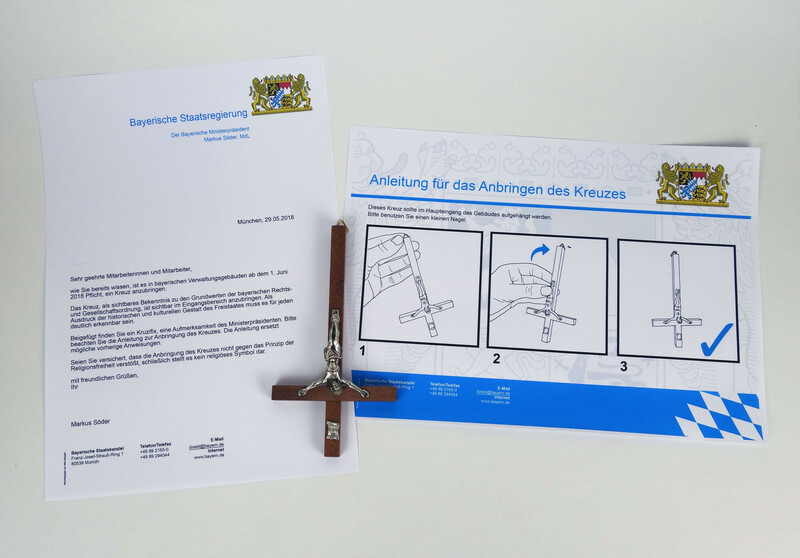 From June 1st a new law in Bavaria, the Kreuzpflicht (“crucifix obligation”) required that all public buildings hang a cross in their entrances. A satirical artist, along with help from members of Global Order of Satan sent dozens of crucifixes to public buildings across southern Germany. Working with satirical artist Darren Cullen of spellingmistakescostlives.com, members of Global Order of Satan and others funded and/or assisted with the production of run of the mill crucifixes with one key difference: the hanging hook is on the bottom edge. An estimated 1.9 million adults aged 16 to 59 years experienced domestic abuse in the last year, according to the 2017 Crime Survey for England and Wales (1.2 million women, 713,000 men). And while services to help and heal are available, lingering scars can sometimes be painful reminders of these traumatic events and prove more difficult to erase. Bodily autonomy is one of the founding principles Global Order of Satan was built upon. As Satanists we believe one's body is one's own to do with as they choose, and that it is every individual's sovereign right to have full control over oneself for the duration of one's lifespan. It is our desire that nobody be hit, scarred, maimed, mutilated, or abused in any way, ever, without consent. This is why we are teaming up with local tattoo shops and artists to create The Autonomy Project. The Autonomy Project allows anyone with cutaneous scars or tattoos, which are the result of domestic violence, to access (within reason) free tattoo cover work. Because we see the possibilities for kindness and compassion in the world, and money should never be a barrier to personal growth. We want you to wake up every day knowing that your body is your own and reclamation can be a powerful step in securing that knowledge. Do you believe in / worship Satan? No. We are atheists which means we don’t believe in the existence of the supernatural. This means no god, no demons, no angels, no ghosts (holy or otherwise) and no devil. Worship is an expression of adoration to something which one reveres. In our case, we revere ourselves as individuals capable of the greatest human expression of compassion and empathy. We have hearts and minds that are imbued with warmth, rationale, and a quality of curiosity that can reason, resolve, and navigate profound existential experiences. That’s essentially the heart of Satanism. This philosophy can be thought of as a type of selfism. If you don't worship the devil then why do you call yourselves Satanic? Buddhists don’t worship Buddha, but they follow those teachings. The name Lucifer actually means lightbringer, and nothing is more illuminating than knowledge. 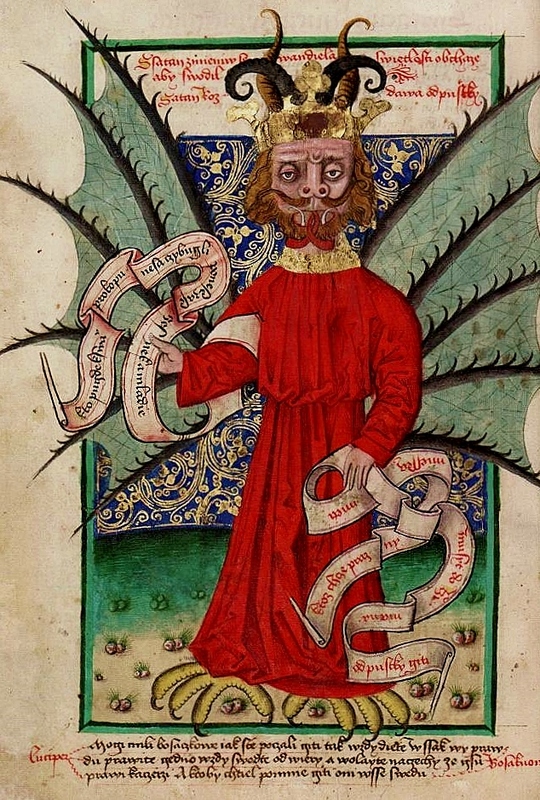 In fables, Satan was the first to speak out and voice rational inquiry to an authoritarian god that demanded blind obedience, and for it he was cast out. Of course we don’t believe this actually happened. But, historically, we know that those who speak out against the injustices committed by governments, religious dictators, and corporations that consistently prioritise profits over people are often imprisoned, killed, or branded incendiaries. So we believe the allegorical teaching of Satan is the need to use one’s own voice as an honest tool of evidence-based dissent against corrupt regimes where one sees it. Use of the name also requires individuals to think about what it is that they actually believe. To its detriment, much of the world’s cultural experience is informed by religious dogma and institutional influence and it can be hard to disentangle what one actually believes from what one has been told to believe. Associating with something typically seen as forbidden and characterised as evil when evidence shows that thing to be ethical and charitable for the benefit of all mankind, requires a level of rationality and critical thinking that we encourage in our membership. And if people and governments and leaders can do horrible things in the name of God then we can most certainly do beautiful and inspired things in the name of Satan. So then you’re activists, not Satanists? We are Satanists, make no mistake. 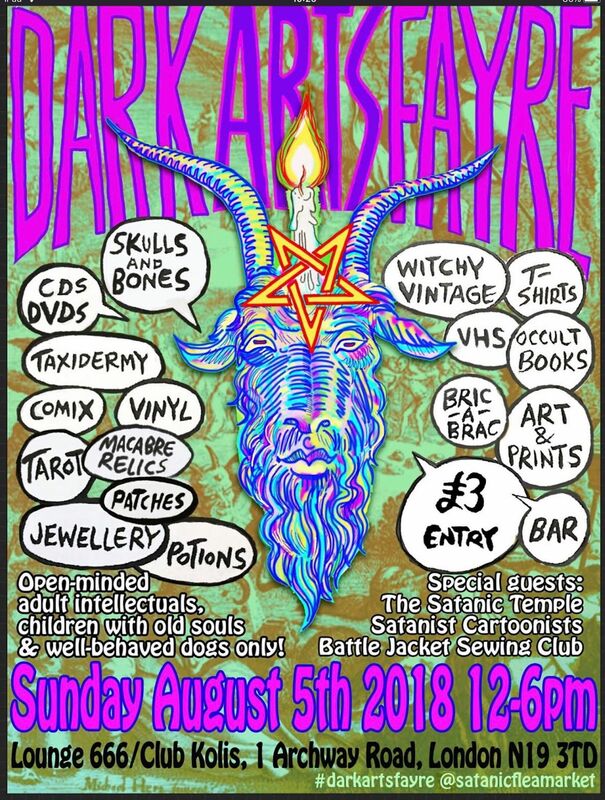 It is the lessons of the literary Satan that we follow –the importance of dissent, rational inquiry, vigilant self-assessment, and the continuing struggle for justice. Because we’re committed to acting on our beliefs, this philosophy can take the form of activism. And like anyone else who calls themselves religious, it’s our commitment to these deeply held convictions that our organisational identity represents. 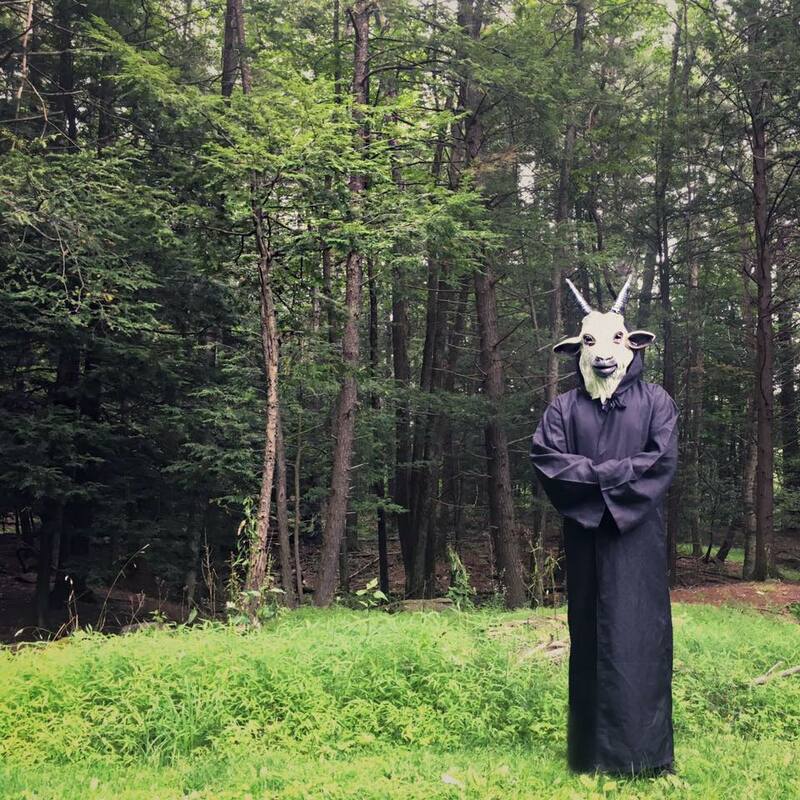 So, yes, we’re Satanists - and activism is just our way of doing the devil’s work. Won't the name Satan make it harder to accomplish your goals? Wouldn't it be better if you called yourself something else? People can be superstitious and reactive as individuals and in groups which is often a symptom of ignorance or entitlement and we’d like to change that way of thinking. Of course it’s an uphill battle, but every movement towards social equilibrium requires those on the forefront. If the world would take steps to shift its collective approach to differences away from defensive and protective, making an intentional movement towards vigilant integrity in our approach to truth, understanding, and self-awareness, then we might realise we’re far less vulnerable and capable of great adaptability which is empowering. So you don't have rituals or kill babies? 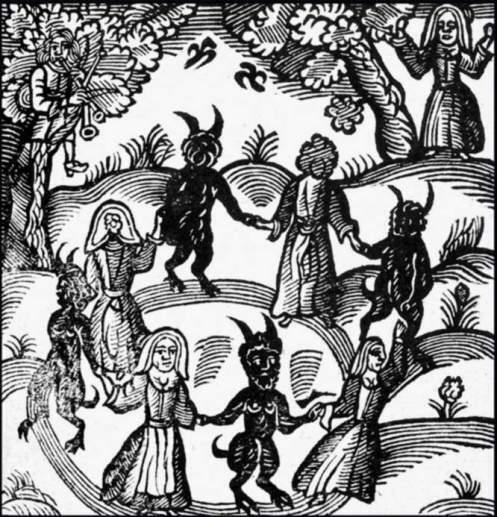 What most people think they know about Satanism comes from Roman Polanski films like Rosemary’s Baby and The Ninth Gate, The Omen trilogy, and Hammer Horror films like The Devil Rides Out. It’s not surprising - those are great films - but that’s fiction, folks. We do perform rituals, but so does everyone else in their daily life. Crossing the street is a ritual in which you look both ways beforehand. Checking your email can be a ritual if you have a routine for it - do you check it in when you first wake up…with coffee? Do you play music and dance around the kitchen while cooking supper? That’s a ritual too. We ritualise life because it provides comfort and it can be a hallmark for important events of recognition, such as the ritual of marriage. Global Order of Satan performs rituals too, but it isn’t black magic, it’s just a celebration of life. I’ve heard that becoming a Satanist will grant me money, fame and power. How do I join you and get all this? We're sorry to disappoint you, but joining Global Order of Satan does not grant you money, or fame, or power. If you read through the rest of this FAQ and site, you’ll find that we’re an atheist group, who don’t believe in a god, or a devil, and also laugh at the concept of doing some kind of deal with a supernatural entity for a secret way to make money, become famous or powerful. We stand for those oppressed by mainstream religions, and provide a community for those who agree with our philosophy - we’re not a cult, there’s no direct line to grant special favours from Satan, and we’re very sorry you’ve been lied to. Are you related to the US-based Church Of Satan or The Satanic Temple? We have no current affiliation with either. We have similar beliefs but we also have different policies and principles. For example, membership with Global Order of Satan is always free. We also don’t ask for money from our members or chapters and we put into practice our ideals about autonomy and the importance of rebellion. Because we have more of a global reach, as we currently preside over Europe, Australasia, and the Middle East, our concerns are global ones and not restricted to our locale. STI? Isn’t that a disease? 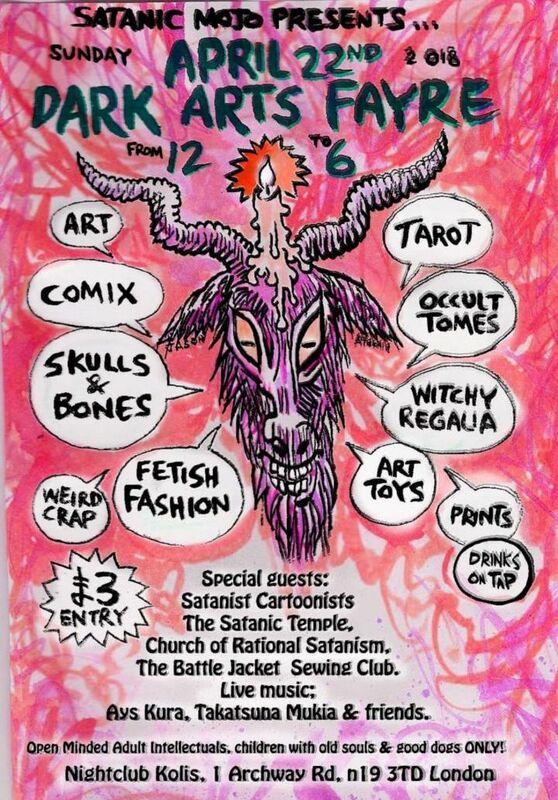 Much like sexual health, Satanism also experiences stigma due to the harms of ignorance and insufficient education. It has been observed that non-theistic Satanism, by name, is a natural filter for those who may struggle to reconcile concepts. Perhaps the same can be said of STI. And it is our hope that Satanism too will grow to epidemic proportions. What is Global Order of Satan doing here in the UK? We feel it’s important to add a clear and public voice of reason to counterpoint the alternative facts, political agendas, and media spin one hears today. We hope others recognise the truth in our words and know we’re looking out for them. Casual glances into history will turn up numerous examples of abusive and tyrannical practices one still sees today, perpetrated by Christian extremists who don’t even practice what they preach. How many times have we heard a politician insist on drug testing for those on social welfare, denying LGBT rights, or restricting women’s access to family planning services; only to be subsequently exposed for abuses of government funds, arrested for possession of illegal substances, or paedophilia? It happens so frequently that you can virtually set your watch to it. In the eyes of the Global Order of Satan, public bigotry is probable cause. And it is these people who would make themselves our leaders, who force their thoughtless and poorly constructed ideals on us, and bring their lunacy into our classrooms and our homes. Well, we say ”hell no.” And since national census data shows Satanism in the UK has grown by 285% in the last 6 years, we think others share our beliefs. So do you hate religion? Religious practice can be a source of immense emotional gratification. We’re a religion ourselves, so –no- we don’t hate religion. What we hate is abuse and bullying. When Catholic Charities are taking social welfare money earmarked for HIV prevention but hide the condoms because they don’t believe in them, that’s a type of moral bullying with epidemic consequences. When families in one of the most dynamic capitols in the western world burn to death in substandard housing because of greed supported by casual classist attitudes, that’s economic bullying and a form of genocide. And if you’re a bully, especially one who uses religion as a get-out of-jail-free card in place of compassion and reason, then we’ll probably be seeing each other soon. Do I have to be a goth/like metal music to join? Absolutely not - we believe in individuality & free expressions, and appreciate the value of diversity. Membership is free and we will never pass around a collection plate. If you want to join, or simply get in touch, you can reach us at info@globalorderofsatan.com, or one of our social media channels.